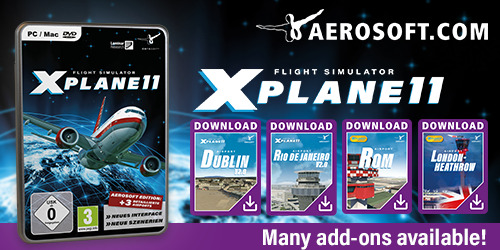 Short Final Design, known from many payware and freeware airports. The designer/developer behind SFD is also MisterX, known from his famous MisterX6 Library and much more. Anyway, this page deals with the high quality and accurate modeled EDDM or Munich Airport or also known as Munich Franz-Josef Strauss. Munich airport (IATA: MUC, ICAO: EDDM) is a major international airport near Munich, the capital of Bavaria. It is the second-busiest airport in Germany in terms of passenger traffic after Frankfurt Airport, and the seventh-busiest airport in Europe, handling 44.6 million passengers in 2017. But now the modeled airport. I didn’t know where to look since there was so much to see. When you think you’ve seen everything, then around a corner you see something new. I’ve been a lucky person being here many years ago when I was working/training for Lufthansa Techniek at the maintenance center. What I see or what SFD has made is well done and that’s almost an understatement. No, this isn’t a review yet. The review is in progress as they say. These exclusive screenshots are only to give and me an idea what to expect and I can tell you, it’s wonderful. Don’t believe me, check out our exclusive screenshots. Enjoy! Thank you for this, EDDM is my favourite hub airport, so heading over to the .org right now!